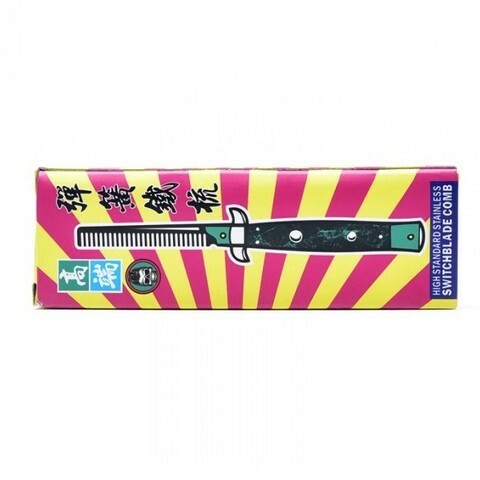 This is the 9" Blue Automatic Deploying Comb Switchblade Stiletto Hair Brush. What the quickest way to comb your hair? 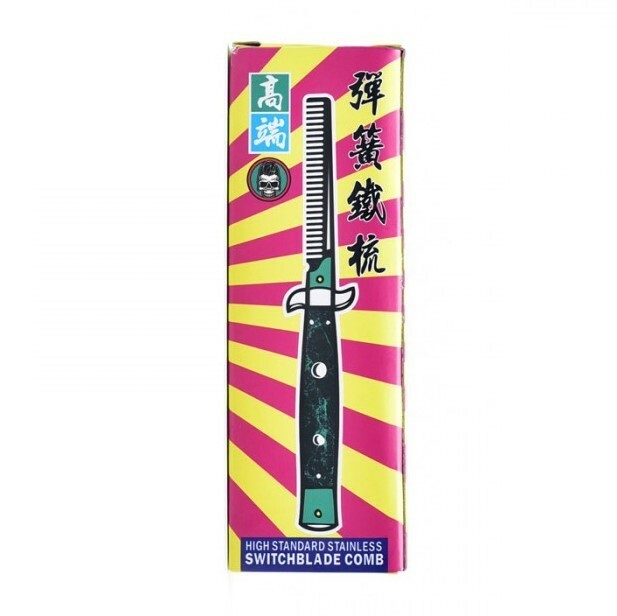 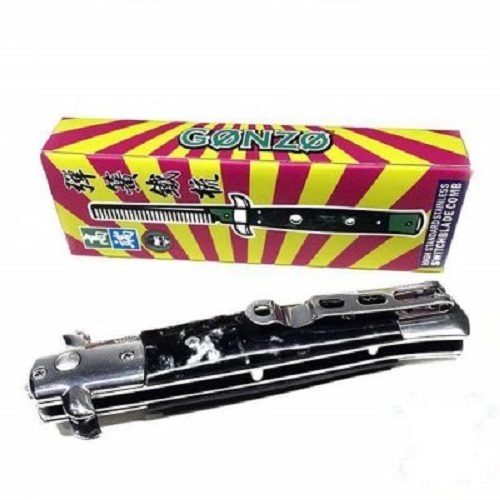 By using this automatic switch comb, you can deploy a stainless steel comb and use it while looking cool. 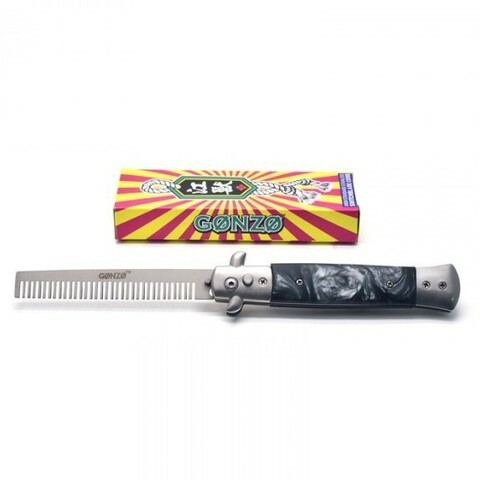 Featuring a safety lever and a reversible belt clip, this little automatic comb can fit in your pocket for any occasion that you might need to comb your hair.